As a photographer, Malini Kochupillai is acutely aware of the power of the image, and the burdens of oppression that are imposed because of the ways in which the media or popular culture can portray sections of society. 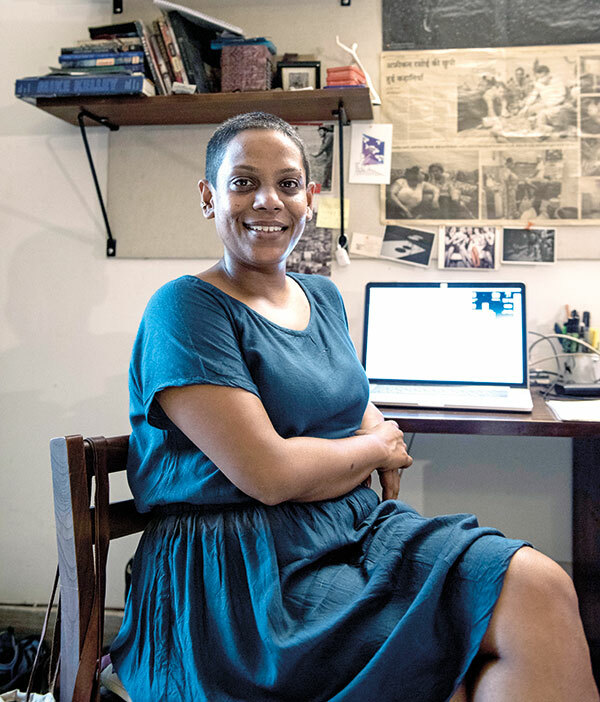 Through her project Khirkee Voice, Kochupillai, along with Mahavir Singh Bisht, has slowly changed the way New Delhi treats its African diaspora – at least within one neighborhood. 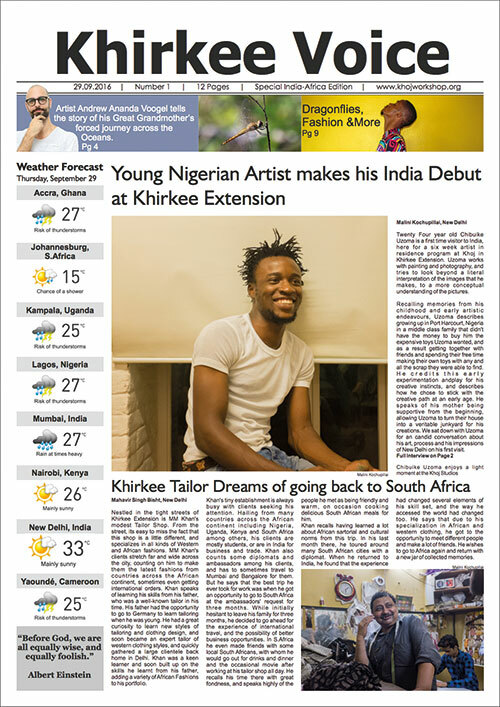 In its five issues so far, Khirkee Voice has effectively used the newspaper format to spread positive stories and images of the African population that lives in South Delhi’s Khirki neighbourhood. Kochupillai has also carried out interventions in public spaces – the Khirkee Talk Show was one way to bring about a face-to-face conversation about the diverse communities that call this part of Delhi home. Again, it was a simple gesture; it involved empowering conversations that went a long way in dispelling misconceptions. How do you define power and empowerment? I think power does corrupt. But empowerment is different. It’s about lending power to others, especially those who don’t have it and haven’t had it for generations. We live in a patriarchal world, where anyone who identifies differently — whether it’s because of gender, sexuality, race, class or caste — is treated like they are invisible. So to make visible those who have no voice is at the core of my practice. And empowerment is also about empathy, which I think is crucial to any kind of revolutionary political process. How do you think art spaces can serve as places of empowerment? Khirkee Voice is about storytelling, it’s about sharing our dreams and aspirations, and creating a space where one can voice concerns that suddenly changes so much of our understanding of people. Sometimes, commercial spaces can also be subverted. So an art fair or a gallery can also be sites of engaging, larger conversations. What issues do you attempt to bring to light through your art? I think we should aim for solidarity, by understanding what we share in common and coming to terms with our different backgrounds and experiences. The way we are treating our environment — because that has an impact on how some communities are marginalised and oppressed while others benefit — should be dealt with. I’m working towards initiating projects that affect the environment. 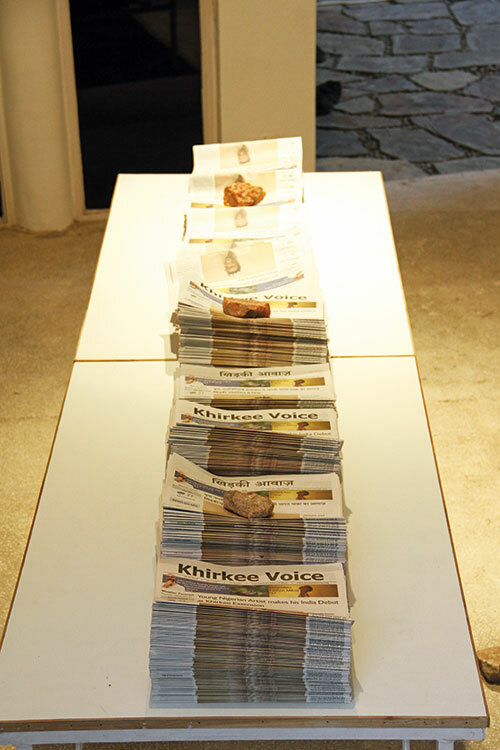 I’ll be continuing to work on Khirkee Voice and other curatorial interventions. Currently, I’m putting together a team for a new project that addresses some environmental issues and social concerns related to the same — a part of the plan is to use art practices to disseminate knowledge and create new possibilities around sustainable living and community engagement.